“How to grow a thicker beard?” It’s a question being asked by all kinds of men, regardless of their age, occupation or personal style. The beard is the new “it” accessory. But, how to grow a thicker beard? It’s not enough anymore to just quit shaving and let nature take its course. A full, thick beard is a must-have. Just ask Google…the keywords “how to grow a thicker beard’ are searched an average of 3 to 5 million times every month. Men want full, thick beards. Scraggly patches and bald spots are most definitely not desirable. Neither is the unkempt, “au natural,” wash-and-go look. A thick, full beard must be well-groomed. 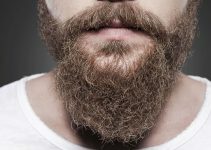 This “How to Grow a Thicker Beard” guide will explore two issues: how to grow a thicker beard, and how to properly groom it. Fortunately, it’s not a two-step, successive process. You can work on growing a thicker beard and keep it nicely groomed at the same time. 2) Start (or continue, if you already have one) a daily facial-care routine. 3) Eat a beard-friendly diet. 5) Start trimming your beard when appropriate growth has occurred (about 3 to 4-weeks growth… more on that later). 6) Talk with your Dad. Genetics are believed to play a role in beard growth. Your Dad may be a good source of information when it comes to family genetics and ability to grow facial hair. Your grandfathers (both paternal and maternal) may also have some helpful insights. This step is a no-brainer. Let’s assume that, in your quest for how to grow a thicker beard, you’ve already stopped shaving (or are about to). We’ll move on to step 2. Almost all guys have a daily facial-care regimen of some sort, starting with a daily washing. Unfortunately, a lot of guys stop there. Of course, a clean face makes a better palette for nice, thick beard. But just washing your face may not be enough when it comes to how to grow a thicker beard. In fact, if all you’re doing is washing your face, you might actually be doing your beard more harm than good. Washing with a soap-based cleanser may be stripping your skin of essential natural oils. Even non-soap cleanser removes some of your skin’s natural lubricant. This loss of natural oils can dry out your beard. It may even slow or stunt its growth. This is definitely NOT how to grow a thicker beard. What Does a Beard-Friendly Skin Care Routine Look Like? To get a healthier beard, you need a healthy base: your skin. How to grow a thicker beard starts with the right cleanser. Hint: it’s not the same bar of soap you use for your body. Bar soap (unless it was designed specifically for facial skin) is made for removing dirt and…wait for it…oil. Your face happens to produce a lot more oil than the rest of your body. The skin of your face needs more protection from the elements than skin of other body parts. This is largely because facial skin gets the most exposure to the elements. Damaging UV light from the sun, wind, extremes in temperature and environmental pollution are the worst ones. One of the ways the body protects the skin is by producing natural oil, called sebum. It is produced and secreted by sebaceous glands. Sebaceous glands can be found all over the body. However, they are most highly concentrated in the skin of your face and scalp. Washing your face gets rid of all the dirt and pollutants that clog your pores and sebaceous glands. However, it also removes some of this oil in the process. Using the right facial cleanser will help ensure that you get rid of the bad stuff (dirt and pollutants) but leave enough good stuff behind (sebum). Sebum production is a very necessary element in how to grow a thicker beard. This applies to all guys: stop using body soap on your face. However, the right cleanser may be different for every guy. It all depends on your skin type. Chances are good that your facial skin falls into one of these categories: dry, oily, normal, sensitive and combination. It means your sebaceous glands are already struggling to keep elemental damage at bay. They’re barely chugging out the sebum. The last thing you want is to strip them of what little oil they already make. Therefore, if your skin is dry, you need a cleanser formulated for dry skin. These types of cleansers have moisturizers in them to lock in natural oils. Your sebaceous glands are in overdrive. You might notice that your skin looks shiny. It might even feel greasy to the touch. If your skin is oily, you might be prone to acne. Too much sebum can clog pores, which causes breakouts to occur. What you need is a cleanser that removes excess oil, without stripping all of it away. It can be hard to find a cleanser that strikes that delicate balance: taking away enough oil to normalize your skin, but not so much that it dries it out. If your skin is oily but you don’t have an acne problem, look for a cleanser formulated for oily skin. If your skin is oily and you have a significant acne problem, you may need a cleanser formulated for oily skin plus acne. That is, it will contain something like benzoyl peroxide, a topical acne-fighting medicine. “Normal” is hard to define. Basically, if you don’t have any problems with your skin, it’s probably “normal.” If your skin isn’t overly dry, overly oily and you don’t have acne, you need a cleanser formulated for “normal” skin. This type of cleanser will be ideally pH-balanced. It will contain just enough moisturizer to keep your skin from drying out. It will likely contain a milder soap (or no soap) compared to an oily-skin cleanser. Do certain grooming products irritate your skin? Does your skin get rashes (dermatitis/eczema)? Do you have to be careful about what you put on your skin? If so, you probably have sensitive skin. Look for a cleanser formulated specifically for sensitive skin. It will likely contain very little or no soap. The cleanser probably won’t have added fragrance (scent can irritate sensitive skin). It will be very mild and pH-balanced. If you have combination skin: Combination skin can be the trickiest type to manage. This means that your skin might have some oily spots and some dry ones. You may be prone to occasional, mild acne breakouts. Cleansers designed for combination skin are your ideal choice. They address both dry and oily skin. They strike a healthy balance between providing enough moisture to avoid dry patches, and enough soap to manage oily spots. Once you’ve found the right cleanser, use it daily. Follow the directions on the label. Do it at least once per day, twice if you need it, or if the label specifies so. Always wash your face at the end of the day. Your skin accumulates dirt, oil and pollutants throughout the day. Nighttime, while you sleep, is when your skin cells go to work, repairing and replenishing. Therefore, it’s critical to start that process of how to grow a thicker beard with clean skin. What Does a Beard-Friendly Diet Look Like? You don’t have to measure food portions or count calories. You don’t even have to quit eating your favorite junk foods. Start by eating the recommended number of servings of vegetables, fruits and proteins each day. All of this will give you a healthy base diet. This will benefit not just your beard but your whole body. Are some foods more beard-friendly than others? All healthy food is good for your beard. However, some foods contain nutrients that are particularly good for beard growth. There’s an element of truth behind the aphrodisiac qualities of oysters. Oysters contain protein (so they fall into the protein category of your healthy diet). Protein is necessary for hair growth. They also have significant levels of iron, omega 3 fatty acids and zinc. These nutrients all play in important role in hair growth. Eggs are a lean source of protein. However, they also contain significant amounts of biotin. (We’ll talk more in-depth about this nutrient later.) Biotin is known to ward off hair loss. Eggs also contain an ideal ratio of saturated and monounsaturated fats to polyunsaturated fats. This perfect balance is just what your body needs to produce testosterone (a hormone that is important in the growth of hair). They may seem like garden variety nuts. However, they’re packed with nutrients, including omega 3 fatty acids. In addition to boosting hair growth, the omega 3 in walnuts also help keep your beard soft and supple. Sweet potatoes are the new potatoes. It’s because you can do all the same things with them as with potatoes (mash them, bake them, make french fries). However, they have a lot more nutrients. Move over oranges; Bell peppers have three times more vitamin C. You probably know vitamin C plays an important role in staving off illness. Did you also know that vitamin C is good for your hair? For starters, it helps to increase the flow of oxygen to hair follicles. This, in turn, stimulates hair growth. It also helps to form collagen. This substance is the “glue” that holds our bodies together: skin, blood vessels and, yes…hair. It’s hard to believe something so tiny can be so nutritious. Sunflower seeds (and sunflower oil) contain high levels of vitamin E.
Vitamin E is essential for skin health. One of the things it does is increase the production of sebum. Sebum, as we’ve already noted, lubricates your beard and prevents it from drying out. The American Heart Association, as well as a long list of dieticians and other professionals, recommend eating at least two servings of fish per week. This goes for everyone: men, women and children. Fish is absolutely packed with nutrients. Salmon in particular has a long list of health benefits. One of these is its ability to grow and strengthen hair, thanks to its extraordinarily-high omega 3 content. It is also a lean source of protein. If you’re a vegetarian or you just don’t like oysters, load up on spinach instead. Like oysters, spinach is rich in zinc. A deficiency in zinc can cause hair follicles to shrink. (Follicles are the cells that produce hair.) When follicles shrink, they produce hair more slowly, or not at all. Eating spinach can boost your zinc levels and keep follicles healthy. Spinach is also rich in other nutrients, including vitamin A which is also essential for hair production. Here’s another common nut that is surprisingly good for your hair. It is high in biotin, which we’ve already seen helps stimulate hair growth. It’s also an excellent source of vitamin E.
There’s a reason why your Mom always told you to “eat your broccoli.” It is a great source of vitamins A and C. We’ve already seen how important these two nutrients are to the hair growth process. The really cool thing about all ten of these beard-friendly foods is that they fit easily into a healthy, balanced diet. Not only that, but they are readily available and easy to obtain (or grow yourself). Again, there is no need for counting calories or keeping a food log. Simply work toward eating the recommended intake of each food group. Then, wherever possible, work in some of those beard-friendly foods. This way, you get the recommended nutrients for your body plus extra beard-growing power. This is how to grow a thicker beard with diet. Can Supplements Grow a Thicker Beard? There is ongoing debate over the necessity and effectiveness of nutritional supplements. We discovered that there is both clinical and anecdotal evidence that nutritional supplements are beneficial and anecdotal evidence that they are not. It is possible to get enough of every single nutrient you need by simply eating the right foods. Therefore, supplements may be unnecessary. Some health care professionals believe most people never get enough nutrients from the foods they eat. Therefore, supplements may be necessary. You should always be aware of the source of nutritional supplements that you use. Many nutrients are water-soluble. This means that, if your body is unable to process them (i.e. your body can only process so much vitamin C at one time), they are simply flushed out with your urine. Some nutrients can only be processed by your body when taken with food. Others can only be processed on an empty stomach. Similarly, many nutrients can only be processed effectively in conjunction with certain other nutrients. Nutritional supplements can be beneficial when used correctly. That last point is the most important one of all. For example, let’s say you eat spinach, broccoli, bell peppers and an orange all in the same day. If so, you’ve probably gotten all the vitamin C you need. If you were to take a vitamin C supplement, your body couldn’t use it. That being said, nobody’s diet can be perfectly balanced every day. (Some days you just don’t feel like eating more spinach.) Therefore, it’s logical that some supplementation is beneficial. Additionally, as we’ve already seen, there are some nutrients that are especially good for how to grow a thicker beard. Some of those nutrients are difficult to come by in everyday foods. Beard-friendly nutrients that are more rare in common foods (or not in large enough quantities) include biotin, zinc, omega 3 fatty acids and vitamin E.
Consider taking supplements containing these nutrients if you’re trying to grow a thicker beard. Make sure that you follow the directions on the label, and don’t take more than the recommended dosage. As for vitamins A, B, C, D and other common nutrients, you may or may not need them. If you know your daily diet has been lacking, it won’t hurt to take them. However, if you’re eating a well-rounded, balanced diet, save your money. Have you decided to try supplements to grow your beard? Just make sure that you know and trust the source of any that you use. And don’t assume that you get a better quality supplement if you pay more. This isn’t always true. The bottom line: do your own research. Then choose a supplement accordingly. Cut your hair to grow it: fact or fiction? Will trimming your beard help it grow faster? Will it make it look thicker, fuller, neater and sexier? The idea that trimming hair makes it grow is a myth. There is nothing about the act of trimming that stimulates hair growth. What trimming does is give your beard shape and style. Otherwise, it would grow somewhat randomly. Some sections would grow longer than others. There would be hair growing in all directions. Unless “wilderness man” is the look you’re going for with how to grow a thicker beard, regular trims are a must. For starters, trimming your beard gets rid of split ends. Split ends make your beard look like it has hairs that are “flying away.” These “flyaways” make your beard appear frizzy and unkempt. Regular trims don’t just get rid of existing split ends. They also help to prevent future split ends. Secondly, trimming your beard is how you give it its shape. Do you have an end goal in mind as far as style? You can begin working toward that style and shape starting with your very first trim. When Should I Start Trimming? Professional stylists recommend that you get your first beard trim between three and five weeks after you start growing it. Aim for closer to the 3-week mark if your facial hair grows quickly. Wait till the fourth or fifth week if it grows more slowly. How Often Should I Trim My Beard? In the early stages of growth, you can go longer between trims. Once every couple of weeks (give or take a few days depending on your individual rate of hair growth) is probably sufficient. Talk to Dad: What Role Does Genetics Play in How to Grow a Thicker Beard? Scientists and experts agree that genetics play a role in how to grow a thicker beard. However, no one is really sure to what extent. Generally speaking, though, if your Dad can grow a full beard, you can too. Conversely, if your father’s facial hair was sparse, you might need to work hard to coax a beard. Remember, this is a generalization Sometimes the hair growth genes skip a generation or two. What if my genetic history is against me? Maybe you are the recipient of unfortunate genes. Does that mean your beard dreams are bust? There are some things you can do to make the most of the hair follicles you do have. Eating a healthy, beard-friendly diet is one. Supplements might also be of some benefit. Taking care of your skin by adopting a grooming routine is also important. Beard growth creams/oils can also be useful (although some are better than others). We will discuss those in more depth in the next section. Do Beard Growth Creams and Oils Help A Beard Grow Thicker? Beard oils and creams aren’t miracle potions. Neither are they snake oil. So are they worth using? The short answer is: yes. However, they aren’t all the same. Their effectiveness depends on their ingredients. It also depends on how well your individual skin and hair follicles respond to those ingredients. This highly-effective oil comes from the rosemary plant. Rosemary can be dried and used as a herb in cooking. When used in oil form, rosemary stimulates the skin. This causes blood circulation to increase, allowing more oxygen to reach the cells and follicles. It is the increased oxygen delivery that is believed to stimulate hair follicles to produce hair. This oil comes from the stinging nettle plant. Most of the time people avoid this plant due to the nasty sting it delivers. However, as an oil, stinging nettle is thought to do two things. One: it is believed to regenerate sluggish or dormant follicles. Secondly, it also helps block the production of DHT. This naturally-produced hormone sometimes kicks into overdrive. DHT binds to hair follicles and stops hair production. Anything (like stinging nettle) that blocks DHT will also prevent hair loss. This oil that comes from the sage plant works similarly to rosemary and peppermint oil. It increases blood flow (and, therefore, oxygen delivery) to skin and follicles. It also helps control sebum production. If your beard hair is greasy due to overproduction of sebum, sage oil can curtail it. This oil, which comes from the lavender plant, contains antibacterial properties. Not only will it keep unwanted things from growing in your beard, it cleans and opens up pores. This helps to treat and prevent beard itch. This oil, which is produced from castor seeds, is about as close to a miracle treatment as you can get. It has a plethora of benefits for both hair and skin. Black Castor oil is naturally high in antioxidants. It also has strong anti-inflammatory properties. The antioxidants it contains help increase blood circulation in the skin (much like rosemary and peppermint oil). This increases oxygen delivery, which stimulates hair growth. Its anti-inflammatory properties make it an effective treatment for a number of skin conditions. This includes eczema, dandruff, dryness and beard itch. This gooey substance comes from the leaves of aloe plants. It has been used for centuries to treat skin burns. However, it also prevents overproduction of sebum. It leaves your beard with a nice, clean feel. Not only that, but it’s filled with vitamins A, C and E, all of which are nutrients that improve the condition of skin and follicles. Argan oil comes from the argan tree. It has all kinds of benefits for hair and skin. Argan oil also happens to be very lightweight. It is quickly and readily absorbed without being greasy. This is what makes it the ideal how to grow a thicker beard treatment. More specifically, argan oil contains phenols. Phenols are naturally-occuring chemicals. Phenols are believed to stimulate hair growth and even reactivate “dead” hair follicles. In fact, phenols are successfully being used to regrow hair in people with alopecia areata (an autoimmune disease that causes hair loss. This oil, made from the seeds of the hemp plant, are very high in omega 3, 6 and 9 fatty acids. These fatty acids improve blood circulation and oxygen delivery to skin and follicles. They also stimulate hair growth. Studies indicate that pumpkin seed oil may stimulate hair growth. However, there is no conclusive evidence as to why this seems to be the case. Pumpkin seed oil is high in phytosterols. Found only in plants, phytosterols are related to the good type of cholesterol. It is thought that phytosterols may be linked to increased hair growth. Although not proven to have a direct effect on hair growth, these ingredients do improve overall hair health. Many are high in several vitamins and/or minerals. They have a variety of benefits to hair. Benefits include strengthening and/or softening hair, softening skin, treating skin problems like eczema and beard itch, repairing split ends and/or improving blood circulation. All of the above-mentioned ingredients are natural. The majority are plant-based. Animal-based ingredients include emu oil and lanolin. What About Minoxidil For Beard Growth? Minoxidil is a drug that was originally developed as a means to treat high blood pressure. It is effective at opening up (dilating) blood vessels. Patients who used Minoxidil for high blood pressure noticed an unexpected side effect: hair growth. Some patients who were bald even began to regrow hair where it hadn’t grown in years. Since Minoxidil dilates blood vessels, it helped to improve blood flow. It was this improved blood flow that medical experts believed was responsible for hair regrowth. This discovery lead to Minoxidil being rebranded as a hair loss treatment. Most beard oils, creams and balms don’t contain Minoxidil. However, there are some that do. Minoxidil may or may not help to thicken your beard. Minoxidil must be used only in very low concentrations. It should always be used in consultation with a doctor or other medical professional. This is because it has potential side effects, including growth of hair in places where you don’t want it. It is also dangerous to women who are pregnant, nursing or may become pregnant. If you do try a beard treatment containing Minoxidil, it is critical to follow the directions carefully. Only use the amount recommended, and don’t use more frequently than recommended. Is Testosterone Linked to Beard Growth? There is a lot of confusion about the role of testosterone in how to grow a thicker beard. Testosterone, a male hormone, does play a role. However, so does another hormone: dihydrotestosterone (DHT). Both of these must be present and correctly balanced for optimal beard growth. Is Testosterone Responsible for Facial Hair? Testosterone is critically important during two main stages of human development: pre-infancy and puberty. Testosterone levels in the womb are responsible for the development of male anatomy and characteristics. The levels of testosterone are high during the pre-birth months and very early infancy. Then they drop and level off until puberty. Testosterone levels rise again during puberty, which may be as young as 10 or 11 or as old as 14 or 15. They further develop the male anatomy and stimulate body hair growth. Is Facial Hair Related to Testosterone? It is the flood of testosterone during puberty and the late teen/early adulthood years that produces facial hair. Specifically, it stimulates already-present follicles to mature and start growing new hair. The rate of growth is different for every male. So is the amount, thickness and number of hairs. However, eventually testosterone will level off or drop for every man. At this point, facial hair growth will no longer increase. Don’t forget about DHT. It is a by-product of testosterone. It is necessary to the formation of body hair (including facial hair). Ironically, DHT can also lead to hair loss and largely affects the hair of the scalp. DHT may bind itself to receptors in hair follicles. This causes the follicles to shrink (producing weaker, thinner hairs) and eventually die (stop growing hair completely). Do testosterone boosters help you grow a beard? It’s possible that testosterone boosters might help you grow a beard, or make your beard thicker. However, there is no guarantee that beard growth will increase. In fact, by using a testosterone booster, you are actually increasing your DHT levels too. Increased DHT levels put you at even greater risk for losing hair, particularly on your head. Those who stand to benefit most from testosterone boosters, at least when it comes to hair loss, are those who are suffering from low testosterone. As previously noted, testosterone levels naturally drop as a man ages. However, some men experience more dramatic drops. Excessive decreases can become problematic. 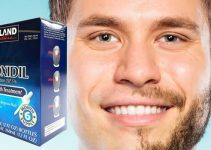 Therefore, for men who are suffering from body/facial hair loss as the result of low testosterone, testosterone boosters may help regrow beard hair. There is controversy over the use of testosterone boosters. First, testosterone boosters can only be obtained legally with a doctor’s prescription. A doctor is only going to prescribe them if you are suffering from low testosterone. Ironically, many of the symptoms associated with low testosterone can also occur when using testosterone boosters (when not medically necessary). How Can I Increase My Testosterone Naturally? 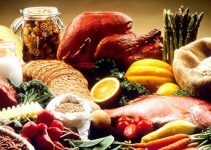 –Protein, carbs and fat are essential to boosting testosterone. Protein probably makes sense. But carbs and fat? Aren’t both of those things bad for you? Actually, they’re a necessary part of a healthy diet. You might be tempted to cut back on them if you’re trying to lose weight. However, you might lose testosterone in the process. As long as you don’t over-indulge in carbs and fat, you can still lose weight AND keep your testosterone up. Just make sure you eat the right kind. Good carbs include whole grains, brown rice, potatoes and sweet potatoes. Good fats include olive oil, coconut oil, nuts, seeds, fish and avocados. –Balance is key. Don’t focus solely on protein, fat and carbs. You still need the right amount of fruits and vegetables every day. –Never yo-yo diet. Adopt a plan and stick to it. Changing your diet or diet plan frequently can through your testosterone out of balance (even if they are healthy diet plans). –Don’t overeat. Cheat days are okay. Just don’t overindulge. One or two donuts on a cheat day is okay (as long as you’re eating healthy the rest of the time). Half a dozen donuts is not. Tuna: Fish in general is a healthy choice. However, tuna is high in vitamin D. We’ve already learned that vitamin D boosts testosterone. Not only that, but tuna is also rich in protein and healthy fats. These are also essential to a optimal testosterone levels. Milk: It’s also rich in vitamin D as well as protein. Recently, chocolate milk has been identified as the ideal post-workout recovery drink. This is because of its high protein content as well as the amount of carbs it contains, which are the perfect balance and mix to do the job. Oysters: It’s not a coincidence that oysters have shown up yet again in this guide. The nutrients in oysters will help you keep healthy levels of testosterone. Shellfish: Oysters aren’t the only things in the sea that are high in zinc. So is crab and lobster. Zinc is essential to maintaining healthy testosterone production. Beans, particularly white beans, black beans and kidney beans: Believe it or not, they are rich in vitamin D and zinc. They are also lean sources of protein. Eggs, particularly the yolks: The vitamin D content of egg yolks is as good for your testosterone level as it is for your beard. Sprinting: Whether you do it as part of HIIT or as part of a regular run/walk routine, sprinting is good for your testosterone. What About Creatine and Caffeine? There is evidence that suggests that both caffeine and creatine monohydrate (often referred to simply as “creatine”) supplements boost testosterone. They are only effective, though, when taken in conjunction with a workout. Caffeine: The same cup of coffee you drink to wake up in the morning can help you boost testosterone. It doesn’t boost testosterone directly. Instead, it works by extending the life of the stored glucose in your muscles. Creatine: This is a chemical that occurs in the human body naturally. It is what fuels our muscles. Creatine supplements, therefore, can provide even more fuel. More muscle fuel equals extended workouts. As we’ve already noted, the longer you can work out, the more you can boost your testosterone. There has been a great deal of debate over the years about the effectiveness of these two supplements. Some (experts and laypeople alike) questioned whether either made enough of a difference to justify their use and expense. Some specifically questioned the wisdom behind caffeine. Caffeine has a variety of potential side effects due to its nature as a stimulant. Caffeine is thought to be safe, used in moderation. However, caffeine is easy to overuse and even abuse. The idea of using it as a workout supplement, therefore, was controversial to some. And then there is the creatine with caffeine controversy. It began as the result of a studies which concluded that caffeine counteracts the effect of creatine on muscles. However, others have questioned these findings. They argue that results may be skewed due to the types of testing conducted, the diet of test subjects and other mitigating factors. Anecdotally, some creatine/caffeine users swear by the combo. Others are adamant that the two are ineffective when used together. It’s up to you to decide for yourself whether to use creatine or caffeine alone, or both together. Long-term experimentation will likely give you an idea whether they, alone or together, are effective. No matter what you do, NEVER misuse a supplement of any kind. Always follow the manufacturer’s instructions closely. Better yet, do your own research so you are fully informed of the potential benefits and risks. Additionally, it’s always wise to seek a doctor’s counsel when it comes to working out and using supplements. There are a lot of little things that you can do when it comes how to grow a thicker beard. Not all of them may work for you. However, there’s a chance that one or more of them will make at least a small difference. There is little risk in trying out nutritional supplements (keeping in mind to follow the directions for use strictly). The exception to this is the use of products containing minoxidil. You should only use minoxidil products under the supervision of a doctor. A prescription may be required. However, at the end of the day, it seems that the most important factor in how to grow a thicker beard is genetics. The odds may be stacked against you if your closest male relatives can’t grow facial hair. That’s not to say you shouldn’t try some of the ideas explored in this guide. Just don’t be too surprised, or disappointed, if you don’t get the results you wanted. You just can’t change your DNA. Avoid the use of illegal steroids. Steroids pose a long list of health risks. Plus, they may or may not give you the results you are looking for. Instead, strive to boost your testosterone naturally. Again, this may or may not give you the results you desire. However when it comes to how to grow a thicker beard, natural methods are safer. Focus on diet and exercise. Give creatine and/or caffeine a try, but carefully. Monitor results closely, and take note of any side effects. Discontinue use immediately if you experience any adverse reactions.